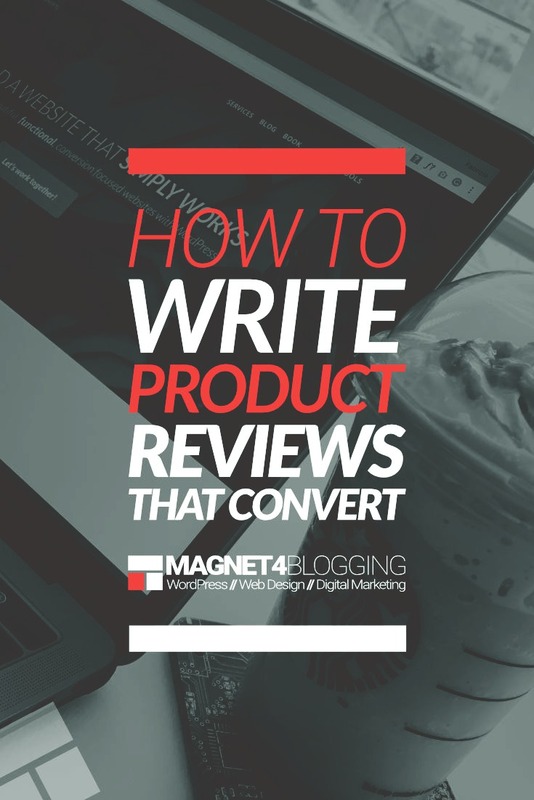 In this post, you’ll learn how to write product reviews for your blog that convert like nobody’s business! Seriously, if you want to generate more affiliate sales, this post is the complete guide to writing content that will boost your sales conversions. According to a 2013 study in Search Engine Journal, 79% of consumers trust online reviews! In a similar article published on Marketing Land, a survey conducted showed that a whopping 90% of consumers decisions were influenced somewhat by reading online reviews. Affiliate marketing is STILL, by far, one of the most effective ways to earn passive income from blogging. The problem is, however, many bloggers are still doing it all wrong! I’ve been doing affiliate marketing since 2009, and I still see many bloggers trying to monetize using old tired and expired tactics. One such tactic is the plaguing of a website with banner ads and intrusive pop-ups. Another tactic is linking to every affiliate product under the sun and in an unnatural way! If you’re doing any of those tactics yourself, how’s it all working out for you? I’d love to know. The reason I ask is that those old expired tactics no longer work as effectively as they once did. Most web users are savvy and have now become completely ad and banner blind, meaning, they no longer even care they’re there. As for pop-up ads, Google hates them, and if your blog has a ton of them on every single page, then prepare to be slapped hard in the face by them at some stage. Some affiliate ads and links can appear spammy, and if you use too many of them on your blog, then you’re telling your visitors that you simply don’t care about helping them and that you only care about selling to them. What should you use instead of banners and links? Since starting my blogging journey, I’ve tried many of those old-school tactics. In the beginning, I would place banners and ads all over my blog. I would also launch expensive PPC campaigns, do email marketing blasts, and social media promotions, all without a thought whether what I’m sharing is actually providing value or not. Shame on me, I know. But hey, we all start somewhere and make mistakes along the way. None of those tactics worked for me… None. Zero. Nadda! One might argue that perhaps I was doing it all wrong. Maybe my banners were in the wrong place. Or, maybe my affiliate links weren’t visible enough for people to click on. Maybe so, however, I found one tactic that has worked for me time, and time again. I found a strategy that I truly believe can work for you too. That strategy is – “writing online reviews”. If you don’t believe that online reviews convert the best, then go back to the beginning of this post and read the opening paragraph again. 79% of consumers trust online reviews. Not any old reviews will do! That’s right. Only the best, well researched, highly-informative, well-written, well-formatted reviews will make the cut. Just writing a mediocre online review of anything will simply not be enough. The hard part is, writing a review that matters to your readers. Writing a review so comprehensive, so complete, so definitive, that it blows literally everything else out of the water! Can you write such a review? Of course, you can. Anyone can. You see, a lot of bloggers make so many mistakes when they’re writing online reviews for their blogs, and after reading a few of them myself, some of them are almost laughable. If you take the time to craft a really great review for a product or service on your blog, you’re going to win at doing affiliate marketing, as a blogger. A great online review can withstand the test of time, although it may need updating from time to time. Other than that, once your review gets ranked high up in the search engines, you’re going to potentially earn income from that review like you never imagined possible, and for as long as possible. Now, just imagine, if you were to create a dozen well-crafted online reviews, you could potentially earn a substantial little income from blogging and affiliate marketing, even if it is just part-time income. I’m sure you’ve heard of blogging and affiliate marketing superstar Pat Flynn by now, right? Well, if you haven’t, then I suggest you go and check out his blog, but moreover, check out his income reports. You’ll soon discover just how much money can be made by doing correct affiliate marketing as a blogger. Pat is a high-profile blogger and entrepreneur, I know. Amongst all the amazing things he does for his growing online community, Pat hosts a very popular podcast series on iTunes. “…Where it’s all about working hard now, so you can sit back and reap the benefits later”. This is absolutely true to the core. That’s what doing affiliate marketing the smart way is all about. Putting in the hard work at the very beginning, and reaping the rewards much later, after, but, it has to be done right from the very start. OK, so after waffling on for a few hundred words already, I want to now share with you the steps you can take for writing online reviews of products and services you want to promote, that really matters to you and your readers, and that converts into real affiliate sales. I don’t boast, ever! Most folks in my community will know that. Nor do I try and puff up my own ego, I just want you to know you can really make money from affiliate marketing by writing great online reviews. I’m just a regular dude doing this on a laptop in his living room, so can you. So, are you ready? Let’s do this! What type of online reviews are best to create, Fabrizio? There are several types of online reviews or types of blog articles you can create. Detailed reviews of single products or services (With or without a supporting video, though, adding a video can boost your conversions). Detailed reviews of multiple products or services in a comparison post (With or without using videos). Comparison reviews can be very powerful and profitable because it gives buyers the option to compare products or services. The customer must decide which product or service stands out the most for their individual needs before committing to buy. The best way to start writing comparison posts is to take 2 or 3 popular competing products, or services, and review each of them properly. You can then compare them against each other, before sharing your honest personal thoughts all in the same blog post. Here’s an example of a comparison review article I wrote a while back. 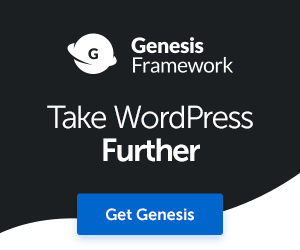 Thrive Themes VS Genesis Theme Framework: Which Premium WordPress Theme Is Best? Online reviews of single products or services are easier to write about as you’re only focusing on one item of interest. Still, there is much research, testing, evaluating to be done beforehand. OK, so now I’ll leave you to decide which type of review article you’d like to create. A comparison post or single product review? So, the first thing you need to do is find products or services to review and compare. When I’m doing this for my own blog, usually it’s for products or services that I’m either using in my business or have used in the past. That’s still very much the case today. I never go searching for new tools, products, or services to review. If I learn about something and end up using it, then I’ll review it at some stage. That being said, it doesn’t mean you have to follow my strategy. In most cases, you can start by reviewing all of the things you’re currently using in your business right now, and I’m betting there are quite a few things too. 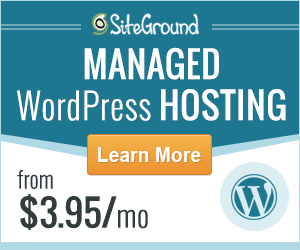 The web host provider you use. The WordPress theme you are using. Any premium plugins you’ve purchased and installed in the last few months. 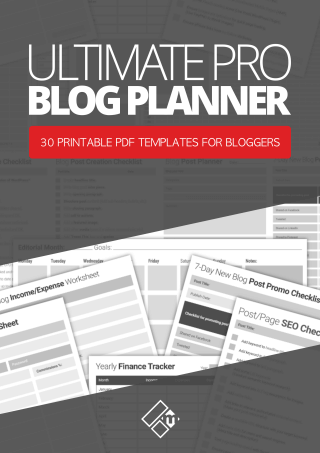 Any premium tools or online services you’re using to boost productivity and grow your blogging business. Books you’ve read on Amazon. Hardware and software you are using. You see, you don’t actually need to go looking for products to start reviewing. You already have a bunch that you’re already using right now in your business, Am I right? So, make a long list of all the things you’re using in your business or for your website or blog, don’t hold back either, include even the smallest of things. I use well over a dozen tools, apps, services, and various technologies in my business, and although I’ve reviewed most of them, there’s still plenty that I’ve not written reviews for, yet. Always review high-end, quality products that will sell. Always review products and services relevant to your niche or industry. For example, if you’re into tech, review tech stuff. If you’re into business, review business related stuff. Try and review products or services that aim to ‘provide a solution’ to a problem. That’s also important. Once you have your list of products and services you want to review, it’s time to take each one by the horn and begin doing some research and testing. The other reason why I love reviewing products and services that I’ve used in my business is that I already know so much about them. Let’s take Thrive Themes, for example. 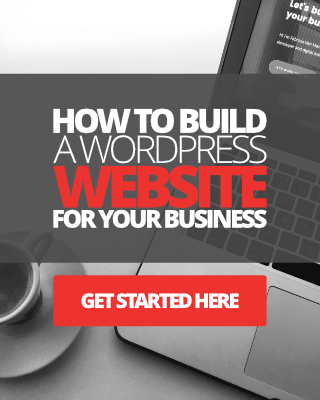 Thrive Themes create a suite of powerful conversion focused WordPress tools for businesses. I have used every single tool created by them over the last four years, so when it comes to writing honest, compelling, thoughtful, informative reviews, or even recording tutorial videos for using these tools, I know exactly where to start and what to talk about. As a result of my strategy with promoting Thrive products, I’ve been able to earn over $8K in commissions in just a few years with Thrive Themes. I would highly recommend that before you write a single line of content for your online reviews, is to do your research first. I would also recommend that you purchase the product or service and use it for a while before you review it. As you’re using a product or service, you can make small notes to add to your review later on. This will make your job of writing a review easier, I can tell you. But most importantly, you’ll write an honest review. The other mistake I see so many bloggers making is that they review products they’ve never even used before. This is a deadly mistake, in fact. To be successful with affiliate marketing, you have to gain the trust of your audience and customers. You will NOT earn their trust if you provide them with biassed and dishonest reviews just so that you can make a quick buck or two. Don’t damage your reputation by promoting trashy or shady products or services. Unfortunately, it can be quite difficult these days to distinguish the real honest online reviews from the trashy ones, often written quickly to simply get quick affiliate sales. If you’ve been following my blog since the very beginning (since 2013 this one, and 2010 the last one), you may know that I like to do something very unique with most of my online reviews. I like to share a screenshot of the actual payment receipt for a product or service I’ve purchased to use. Maybe, that’s something you could try doing too. You want to let your visitors know that you weren’t just given a product or service by a company just so that you could endorse it and make money from it, right? Remember, all of this will help you to build trust. #3. Write your review and don’t edit a single thing! Now, the fun really begins, writing your review. Don’t be tempted to edit your review whilst you’re writing it, just focus on writing alone. I would recommend you start with writing down the sub-headers for your review. Doing this will help you organize the content of your online review better. You can always chop and change it later on. Here’s a list of sub-headers that I might use myself when writing review articles. Introduction to the product, and a screenshot of the receipt for proof of purchase. Benefits of using the product or service, what kind of problems will it help to solve? When you write your own product reviews, make sure you add some relevant images or screenshots of the product or service in use. I would highly, highly recommend adding some video content to your online review. Yes, I know that videos can take considerable time to create and put together, but videos are so powerful and can really help boost your sales conversions. 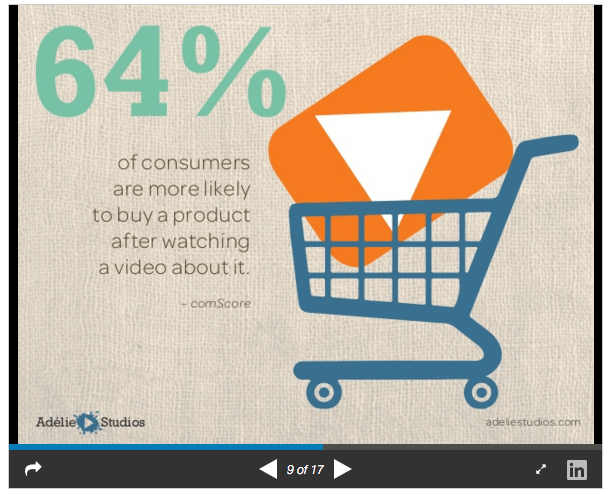 Adelie Studios reported that 64% of consumers are likely to buy a product after watching a video about it. So – if you want to increase the chances of someone making a purchase through one of your review articles by 64%, you know what to do, right? If creating and editing videos of your own is simply too much work for you, then consider embedding a video from another user on YouTube perhaps. Or, why not create the content for your video and hire an experienced video editor to put it all together. A video can add considerable value to your review article, so consider this carefully. Make sure you also add the word “video” into your post headline title too, to help make it more click-worthy. Once you’ve spent a considerable amount of time writing your review, like with any other written content on your blog, start revising and editing your review post. Once again, I would recommend that you don’t do any editing until you’ve written your review in full. What I like to do is write my content first and edit it the following day with a fresh mind and focus. Once you’re happy with the final edit of your online review, proofread it several times to make sure it makes perfect sense and that there are no spelling or grammatical errors. Use something like Grammarly to help you do this. Get your review as close to ‘perfect’ as you can, but don’t get too picky with it. 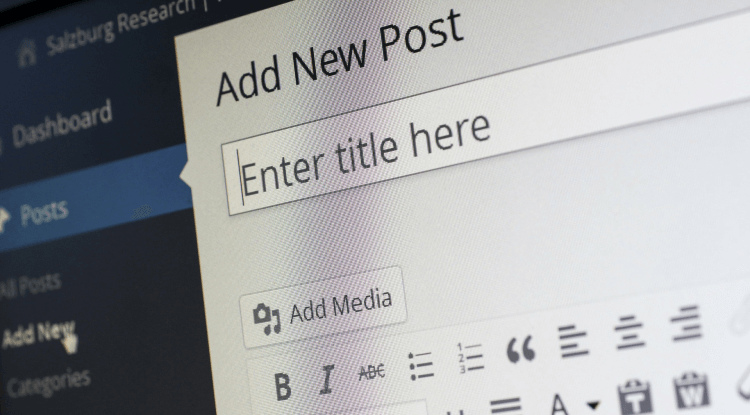 Read this post for tips on how to check if your content is as awesome as you think. I don’t usually pay a great deal of attention to optimizing my content for SEO. That being said, when it comes to my online reviews, I do like to make sure my posts are optimized for the search engines. You need to optimize your reviews so that they have every chance of ranking high up in the search engine search results. But again, don’t stress yourself out trying to make it perfect. I use and recommend two types of SEO plugins, the Yoast SEO plugin, which is free. 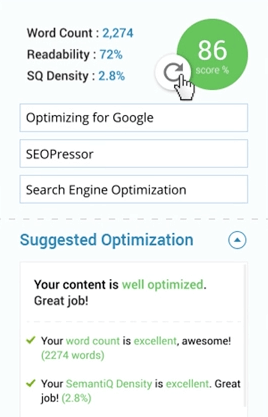 And the SEOPressor Connect plugin which is a premium plugin with more op-page options. When optimizing your review for search engines, one BIG tip I would like to give you is, focus on writing an attention-grabbing headline! Make your headline not just search engine friendly, but human-friendly too. You can write the best online review in the world, you can out-rank your competitor’s review in Google even, but if your headline title is boring and doesn’t compel people to click on it, this is going to hurt your conversion rates. There’s an awesome plugin available from Thrive Themes called Thrive Headline Optimizer. I would highly recommend you give it a try. You can use this plugin to create multiple headlines and test them against each other to find the most conversion optimized headline title for your online review. Once you’re happy with absolutely everything in your online review, it’s time to hit that publish button and feel darn well proud that you’ve contributed something of immense and incredible value to the world at large! You’ve helped thousands of online shoppers make better decisions on what to purchase and what not, and why, and all the rest if it… hopefully. Did you seriously think that was it? Your work is NOT done. Whilst you’ve done all you can to make sure your online review provides great value, and is well crafted and optimized for search engines, it takes time for traffic to come flooding in, it doesn’t happen overnight, sadly. That being said, there’s plenty of things that you can do to promote your online review yourself. Let all your email subscribers know about your new online review. Post to Facebook and promote it with a targeted ad campaign. Use HootSuite and Buffer to schedule social media messages throughout the day or week about your latest review. If you created a video for your online review, make sure you’re uploading it everywhere and link it back to your original review article. Link to your latest reviews category from your blog’s sidebar menu or widget. Make it easy for people to find. Link the review article from your recommended tools and resources page. So, we’ve come to the end of this post. I bet you’re thinking, hoorah! I know, it was a bit of a long one. But, we’ve covered most of the essential things you need to know for writing great product reviews for your blog or website. Follow these simple steps and I’m confident you’ll generate more affiliate sales from your blog in time. Be patient and the very best of luck! Now, go and write product reviews that convert! First of all I appreciate your new profile pics and these are quite impressive. It is rightly said one needs to keep changing everything at his blog and this is a very pleasant change. Your point number three “purchase a product” is the heart and soul of this post. You can never write a successful review just on the basis of observation and knowledge. You must have first hand experience of using that product and after that whatever you declare about the product would be trusted more if you already have trust of your readers. This is one of the most comprehensive posts on product review and you are right that selection of product is the most important step to write a salable product review. Thanks so much for your kind words, I wanted to make this blog as personal as possible, to really close the gab between me and my good readers such as yourself. Hopefully people will see that ‘I’m genuinely a real person’ and look forward to engaging with me on the blog. Thank you so much for adding such a great and valuable comment. Yes the trust factor is a big deal in my experience, and can certainly make a difference when it comes to gaining the trust of your audience. I personally would not trust an online review, or make a purchase from one that only showed stock images or videos. Unless the site is a reputable site like Mashable or TechCrunch. Thankfully most bloggers I know of in the blogosphere are pretty damn honest and review great products they’ve used themselves. I’ve made some great purchases this way. Have an awesome week my friend and thanks again for chatting. I have never read such a lengthy blog post at one stretch. You kept my interest alive with every valid point. Here are some that would stay in my memory for long and that I actually intend to implement. 1. The way you compose the title:-product name-review-an extension. I have seen such titles come up on top of the search engine results. 2. The content structure of your review. I have leant an important lesson. I sincerely thank you Fabrizio for putting me on the right path of review blogging. Hi Kidambi thanks so much for visiting today, glad you really enjoyed the post. I know it was a bit long, I really wanted to write a detailed post on product reviews because the potential for making money online from good honest, well written and informative online reviews is really good. And it’s a great way to build online trust and credibility. I hope this will inspire many bloggers to start writing good reviews or perfecting their current strategy. Have a super week mate. I would say that it is an excellent guide for the bloggers to write perfect product reviews. Yes, people do believe our reviews before buying any product and thus we should be very honest in writing the review of products/services. As you said, we should buy and use that product to write a genuine review. Hi Nirmala thanks so much for commenting and sharing this post on Google+, I really appreciate it. I’m so pleased you see the valid point I made about product purchasing before reviewing. This was one of the mistakes I made myself in the early years, back when I started doing online reviews in 2010. Sometimes bloggers aren’t in a finicial state to purchase products, but that’s OK, there is another way and that’s to ask the companies for one of their products you want to review, however, in my experience this doesn’t always work, it works sometimes, but not always, unless you are really well known in the online world I guess. But from a beginner stand point, purchasing products is key to writing a great ‘honest’ product review that will convert into sales, and you can really make some great money from this. In the blogging and online business niche there’s always great products coming out, you just have to be super vigilant and try and be one of the first to get hold of the product to review. I’ve been successful a few times with these before myself. Hi Fabrizio, as Nirmala said, its just an excellent all round guide, well done. You have explained every single point in detail. Its simple yet very easy to understand. These tips will be very useful for those looking to improve their online reviews. Keep up the great work, and thanks! Great article Fabrizo, I will pass this on to a number of affiliates I know, jam packed full of great content, nice job! Thanks Andrew, glad you loved the content. Reviews are awesome for boosting affiliate sales, so as are product comparison posts and video.